The state capitol building in Montpelier, Vermont has long been known for its beautiful building, graced with a gilded dome and a 14-foot statue. The original statue was made of ponderosa pine, and was created more than 150 years ago; the most recent iteration has lasted 80 years. Officially named, “Agriculture,” the statue is a nod to Vermont’s rich farming history. It represents the Greek Goddess, Ceres. State officials noted the last few years the statue had been showing signs of wear and tear, and the wooden structure was starting to rot on the inside. 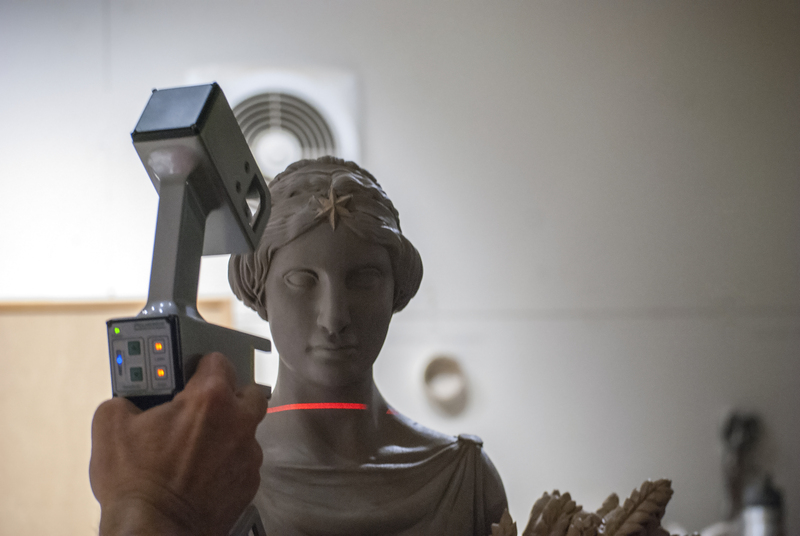 A restoration was approved by the state, and marked the third time the statue would receive a makeover, so it could be mounted on the capitol building, keeping watch over Montpelier. The process of restoring Vermont’s beloved, Ceres, was a delicate one, and a process that was well thought out. 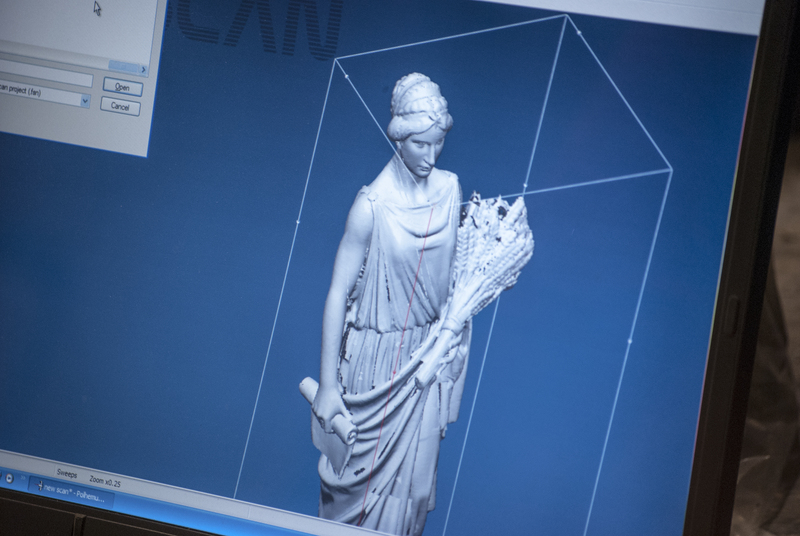 The latest iteration of the statue involved a multi-step process and careful planning. First, the massive 14-foot statue was lowered down from the top of the state house so it could be transported for the work to begin. Next, the statue was redesigned and the new creation was sculpted out of clay. 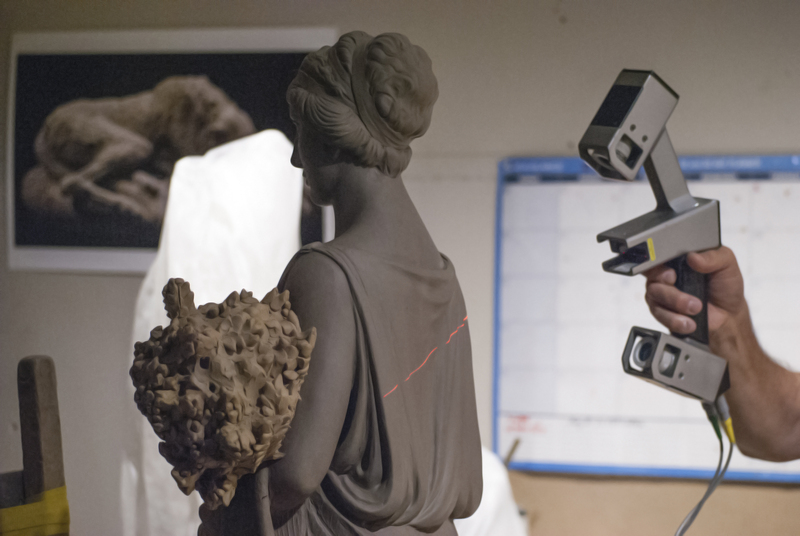 Keeping much of the project local, the sculpting portion was done at Barre Sculptor Studios in Vermont by world renowned artist, Jerry Williams. 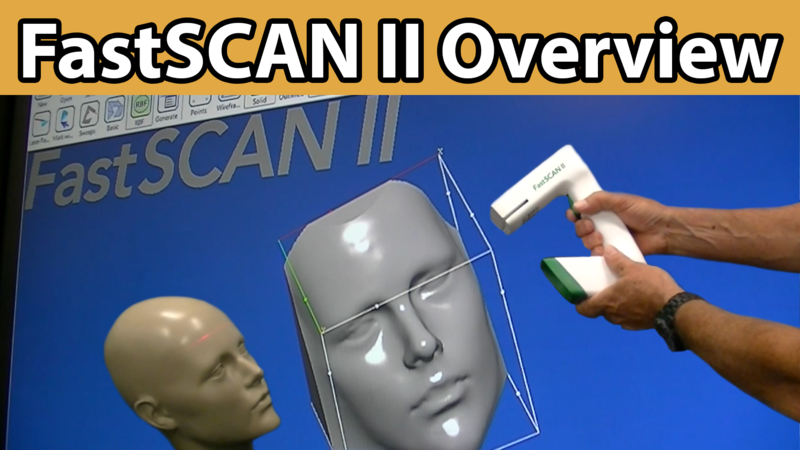 After the clay statue was sculpted, it needed to be scanned, and the 3D file then utilized by a CNC machine. 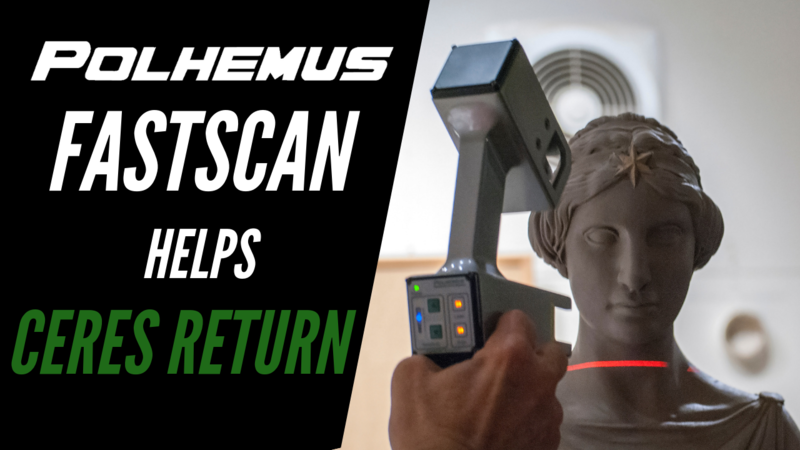 For the scanning portion of the project, the FastSCAN 3D Laser Scanner was used, giving another local nod to Vermont, as the scanner is sold by long-time technology company, Polhemus, headquartered in Colchester, Vermont.